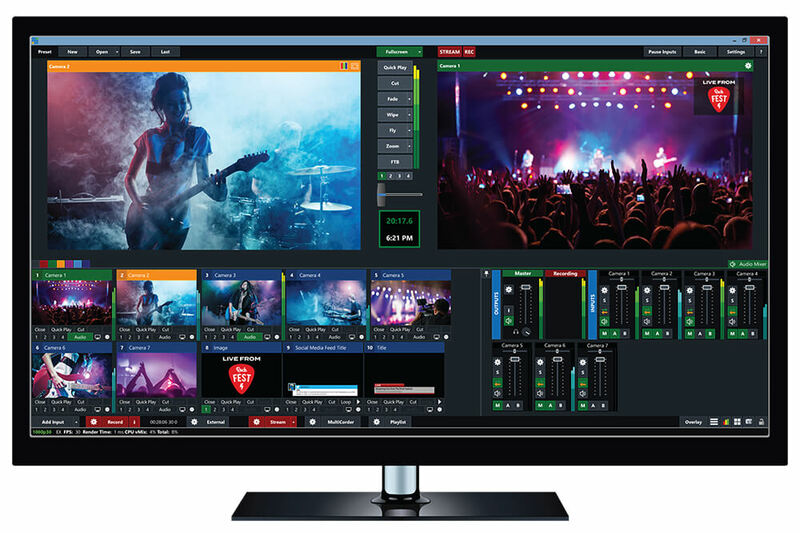 Create professional live productions in HD, SD & even 4K! Watch the vMix Fun Time Live Show! 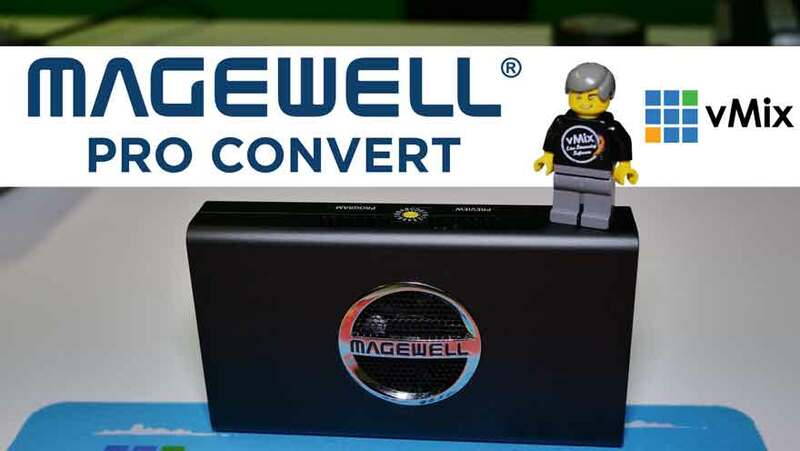 View our reference system build guides to buy or build a custom live production system or laptop. 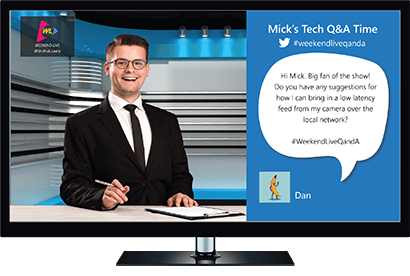 Live interview solution for up to 8 guests. 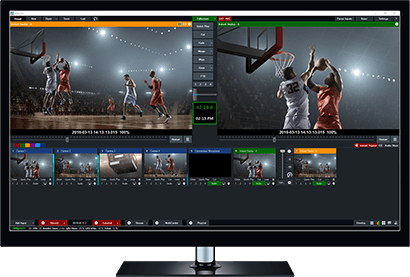 Enhance your live sports productions with the power of vMix replay. Slow motion Instant Replay for up to 4 cameras. Live Social Media integration including Twitter, Facebook, Instagram, Youtube Live and IRC. 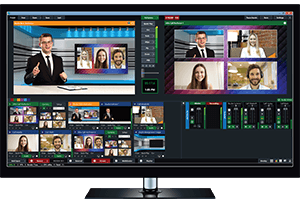 vMix also functions as live streaming software that allows you to publish your live productions directly to the Internet!. As vMix is a software solution, we've enabled users to build their own custom computers at a fraction of the cost of traditional live production equipment. We have created vMix Reference Systems that will allow you to build a vMix PC with specifications to match your production needs. We also have a list of available system builders that can create a system for you! 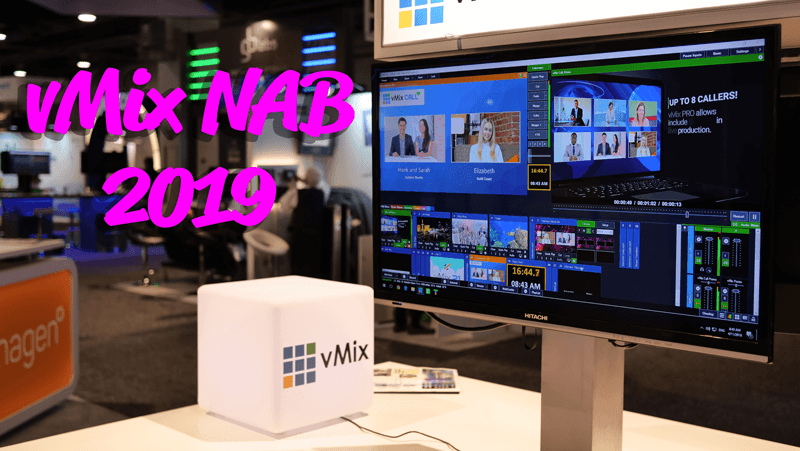 Whether you are looking to produce big budget live concert productions, sporting events, Church services or small webcasts, then vMix is for you. 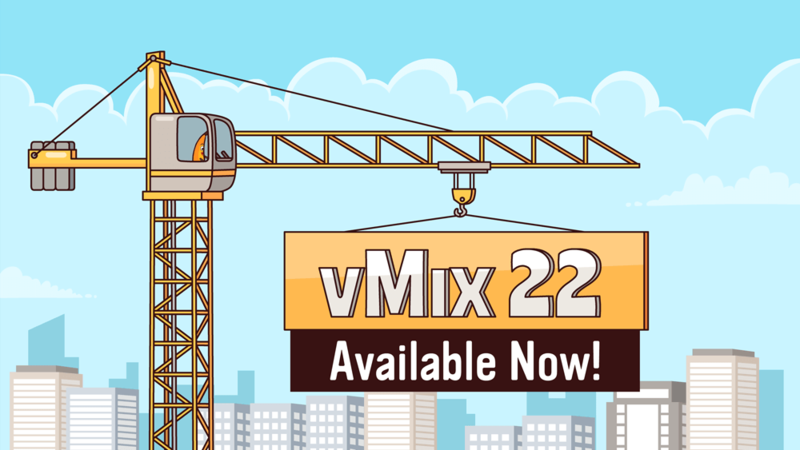 Check out our Solutions page to see how vMix can fit into your workflow. 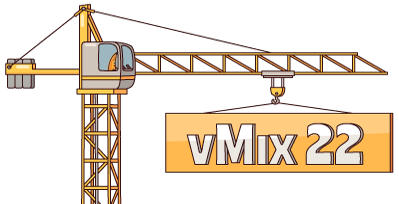 For a full list of what is possible with vMix view our features page. Download a trial today and use a fully functional version of vMix for 60 days free of charge. 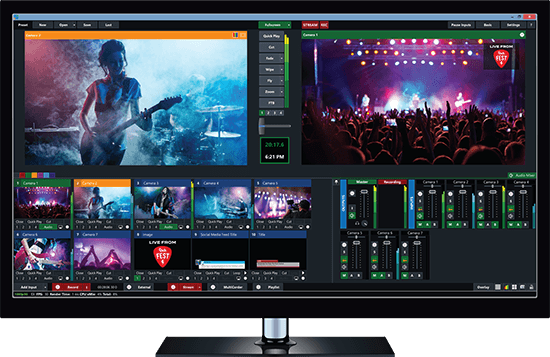 WELCOME TO THE WORLD OF 4K LIVE STREAMING!